Agility and adaptability are two critical characteristics of any business that wants to survive in our fast and ever changing business environment. The constant influx of new technologies help businesses run more effectively, however organizations can experience some short-term pain if new systems are not introduced properly into the organization as a whole. People are often resistant to change, but this can cause a business to become less competitive. Introducing new technology into your company may cause some friction, but if it is thought out and strategically organized then it will take your organization to the next level. Here, I identify four ways that you can effectively introduce new technologies to your workforce. New technologies give companies the potential to improve their efficiency. If you are looking at bringing in a new technology, it is most likely because your current systems are out-of-date and/or ineffective. However, some of your team members may not be aware of these inefficiencies. By identifying what isn’t working, you build a case for change. Do not just send out a mass email telling your team that you are implementing a new system. Instead, sit down as a collective whole and assess the needs of each department. The key to many of these new technologies, such as CRM and marketing automation, is that they encourage cross-departmental collaboration. You need to make sure that each department expresses their wish list, and gets a fair say in the decision making process since THEY are the people that will be using the new platform everyday. What are you trying to accomplish with the new technology? Are you trying to streamline your sales and marketing? Implement a marketing automation strategy? Generate more leads? The first step is to hone in on exactly what you are trying to do. Get specific. If you are trying to introduce CRM and marketing automation, then you first have to establish who your leads are, how you acquire them, and how you want to engage them. Create various flow charts that visualize your processes and end goals. For example, create a flow from the time a person signs up on your website via a signup form to the emails they receive throughout their journey, and finally what happens when they become a client. Establish interdepartmental workflows. 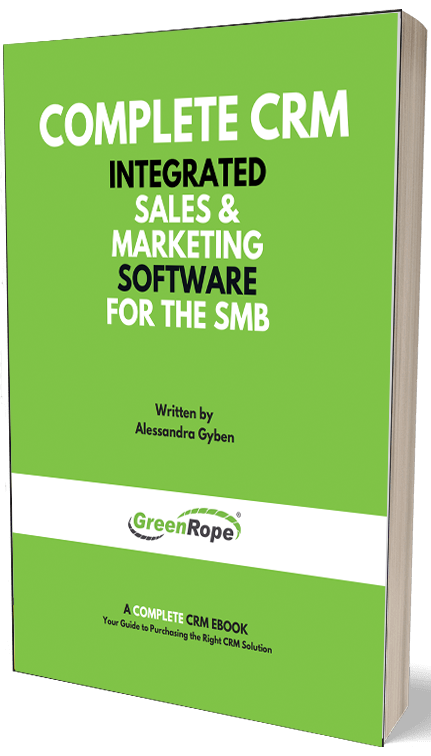 Of course, sales and marketing do not work together all the time, but encouraging collaborative projects and tasks help increase usage of the new technology. Any new technology brought into an organization is going to have some sort of learning curve. Although this may be frustrating, it just comes with the territory. So, if you want to alleviate a lot of the frustration and shorten the learning curve, then depend on training. Encourage team training. A team that trains together, stays together. If everyone is onboard and present with training, the more likely they are to not only work together more efficiently, but also commit to actually using the new technology. Introducing new technology into your organization is never an easy feat, however it is necessary for growth. Remember, when you involve the people that will be using the system everyday, you stand a much better chance of successfully onboarding your team. For more information about successful CRM implementation, read my last article.